Google has pushed an update for Google+ for Android with a bunch of new features, mainly focusing on the photo editing. The application is available in the Google Play Store. The application comes with non-destructive photo editing across devices. This is an excellent feature and what it does is allow users to continue editing their photos on multiple devices. For example, if I start editing photos on my handset, I can continue where I left of on any other device, a tablet or the dekstop. 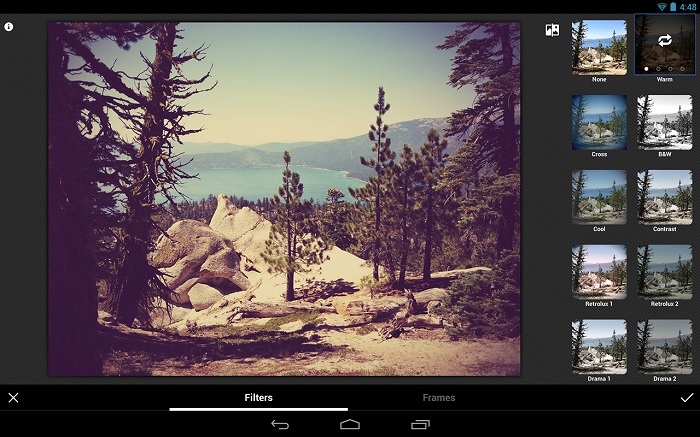 The latest update introduces who bunch of new filters and tools, including crop and rotate), 1-touch filters, and Snapseed-inspired enhancements (like Drama, Retrolux, and HDR Scape) and more. In addition to all-new filters and tools, Google has added a single view for all your photos. It doesn’t matter if they are stored on the current device or in the cloud, you can browse them easily. If you’re a Google+ user, head over to the Google Play Store and download the update Google+ for Android.